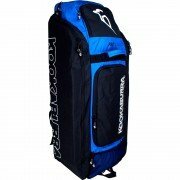 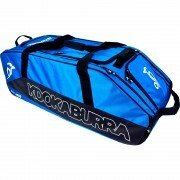 All Rounder Cricket houses a huge range of Kookaburra cricket bags at some of the best prices in the UK . 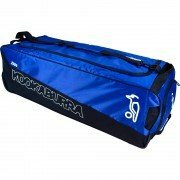 Kookaburra's quality design and striking cosmetics have always led the way in the cricket luggage market and 2019 is no different with a great range of bags suitable for all levels of cricketer's whether you are just starting out at under 7's or representing your country like Team Kookaburra's Joe Butler there is a bag to suit your needs. 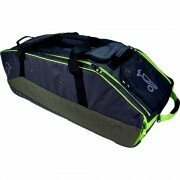 Many of these bags come in a variety of colourways including the ever popular Black/Lime, the new Navy/Cyan to match the 2019 Surge range and Black/Red as designed by Jos Butler to match the 2019 Fuse, this ensures what ever size of bag you need and colour you prefer you will be able to find the bag to suit you. 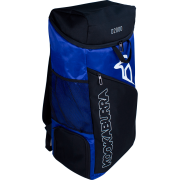 2017 Kookabuura Wheelie Bags - Functional features, high quality materials and smart graphics make Kookaburra cricket bags an obvious choice for any progressive player. 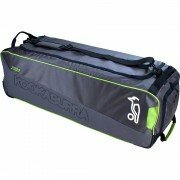 2017 Kookaburra Duffle Bags - Functional features, high quality materials and smart graphics make Kookaburra cricket duffle bags an obvious choice for any player who prefers to carry their bag over their shoulder. 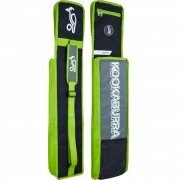 There is no need to search any other cricket store if you need a Kookaburra cricket bag, we have large stocks at unbeatable prices.